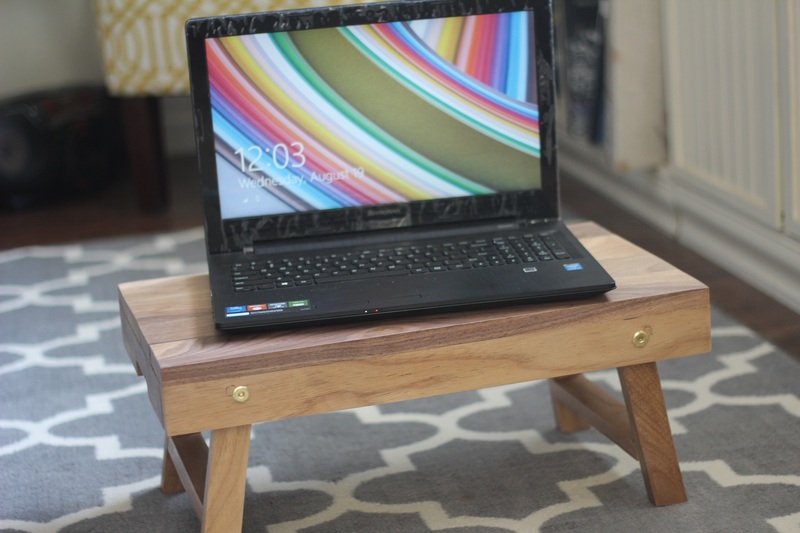 This laptop table was made from black walnut. 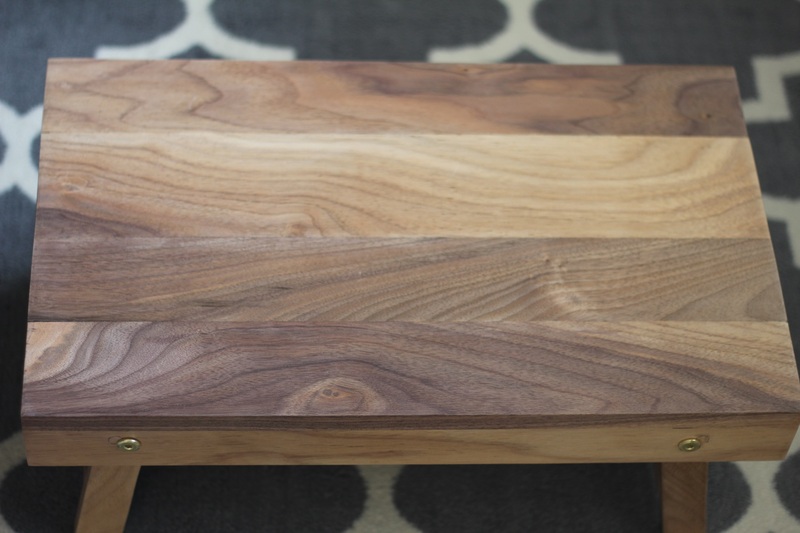 The top was made butcher block style, with varying widths of walnut, giving each a distinct color. 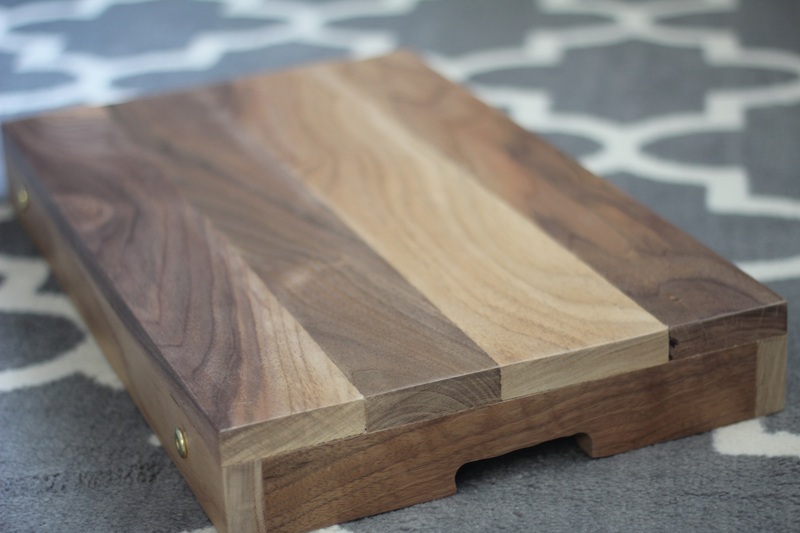 Only polyurethane coats this piece, letting it's natural grain and beautiful colors show through.